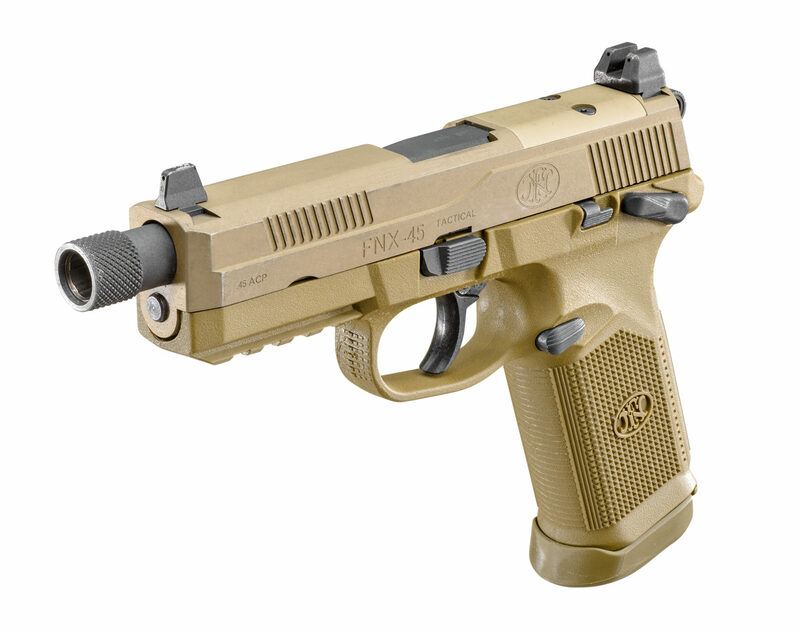 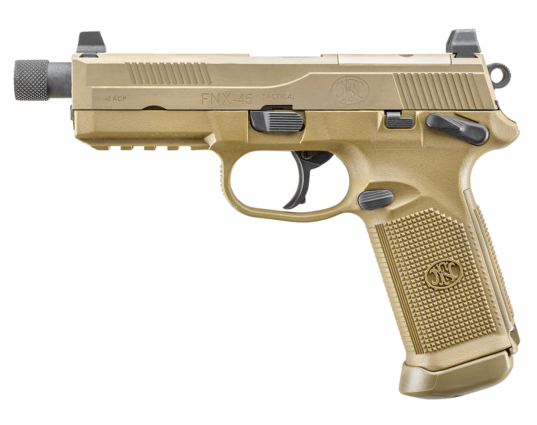 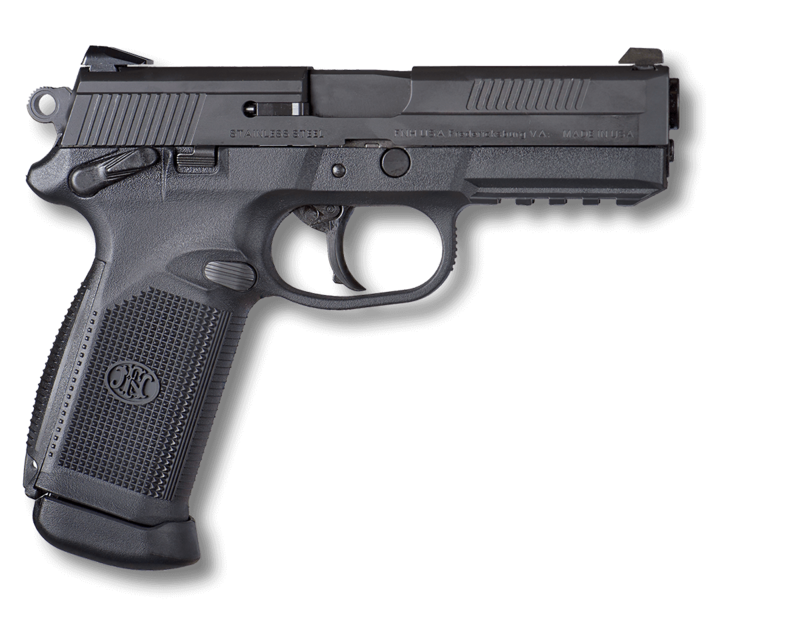 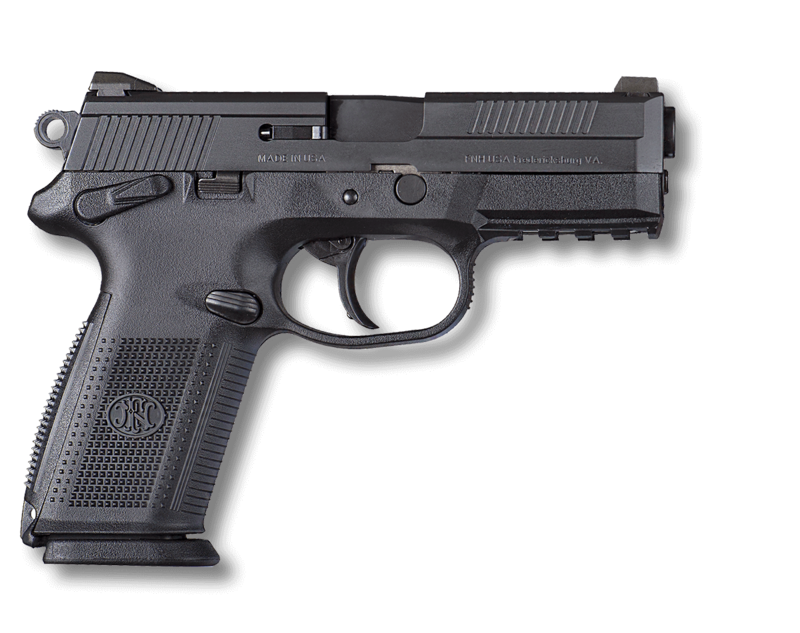 Improving on the FNP™-45 Tactical, developed for the U.S. Joint Combat Pistol Program, the FNX™-45 Tactical FDE was born and bred for battle. 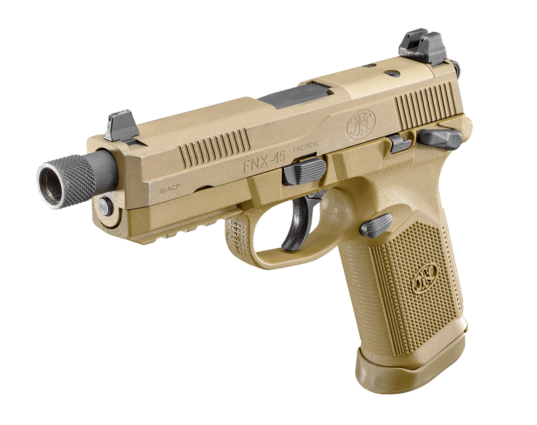 Like its legendary FN forefathers, this combat handgun was designed to not only survive the battlefield, but to emerge victorious. 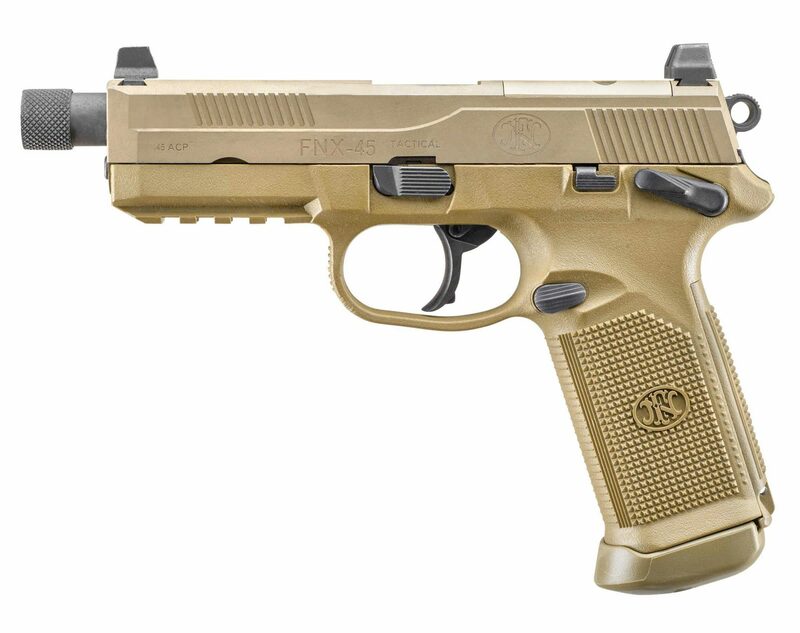 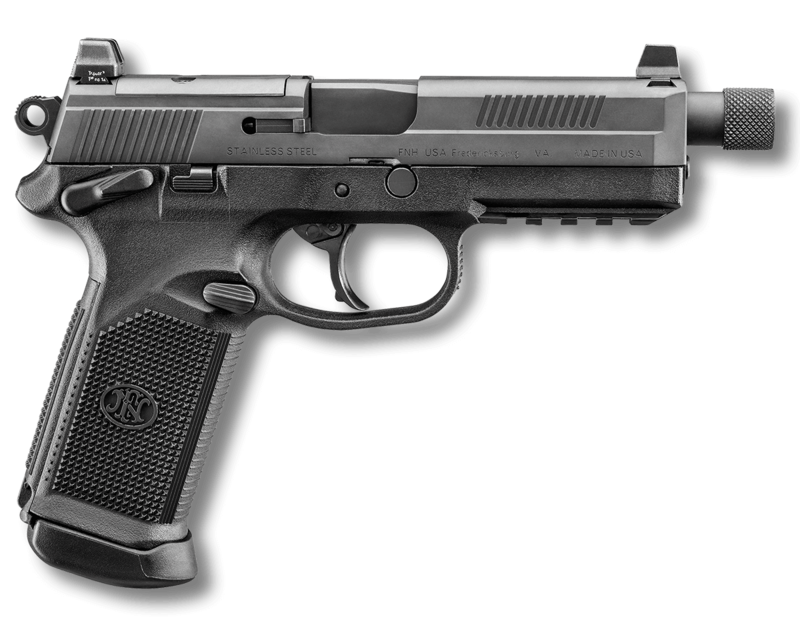 It is the latest in technological advancements in handgun engineering, offering .45 ACP performance and a host of unique features that no other handgun can match.